Tiny Teethers multi-sensory teether made from BPA free silicone and natural, untreaded wooden beads. Soft, lightweight and easy for little hands to grip and hold onto. Non-toxic. Australian made. 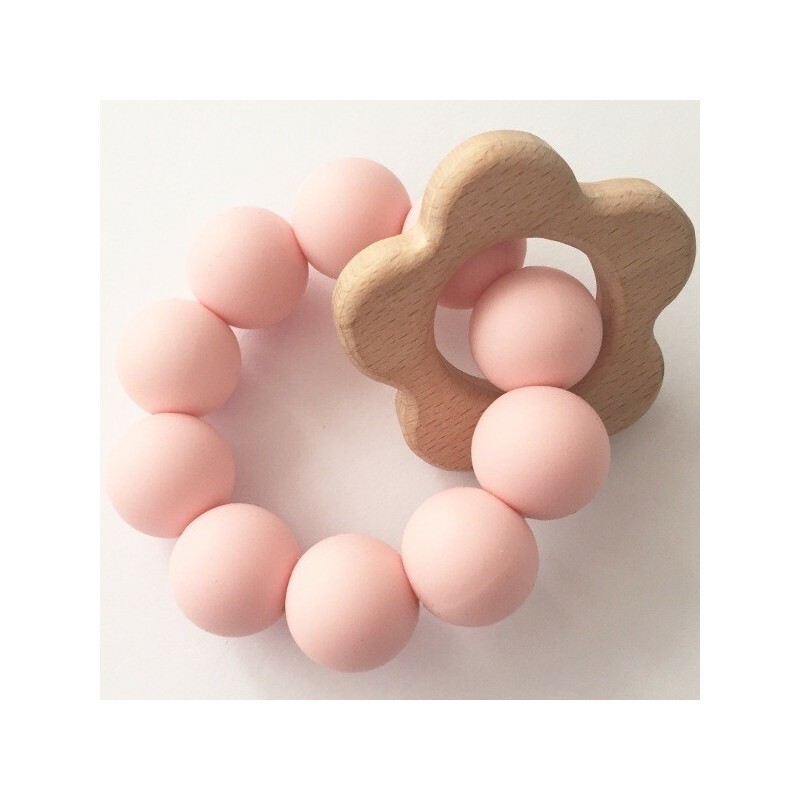 Light pink silicone beeds with daisy shaped wooden ring. Comprised of 10 chunky silicone beads with wooden daisy ring. 7cm diameter.